VISTA (CNS) - A one-time high school and college football star pleaded guilty Tuesday to a vehicular manslaughter charge for causing a crash that killed a Caltrans subcontractor on a North County freeway onramp last year. Reginald Grigsby Jr., 31, entered his plea to gross vehicular manslaughter without intoxication and faces up to six years in prison when he is sentenced May 6. Deputy District Attorney Aimee McLeod said the defendant was under the influence of a "central nervous system depressant" when he lost control of his Mitsubishi Montero on the connector from South Centre City Parkway to southbound Interstate 15 in Escondido shortly after 2 p.m. last Sept. 14. The vehicle veered off the roadway, rolled down a slope and struck Murrieta resident Leonardo Sandoval, who was repairing a sprinkler system in a median next to the freeway entrance. Sandoval, the 21-year-old father of a year-old boy and an employee of Perris-based Pacific Restoration Group, died at the scene. Grigsby's SUV overturned before coming to rest on its roof next to a offramp from northbound I-15. Caltrans District 11 Director Laurie Berman called the fatal crash "a stark reminder of the dangers of working along our highways." Grigsby, a standout athlete at El Camino High School who went on to be a top tackler for the San Diego State University Aztecs football team from 2003 to 2006, suffered minor injuries in the accident. In 2009, Grigsby pleaded guilty to an assault charge for beating and choking his mother during an argument in her Fallbrook home. 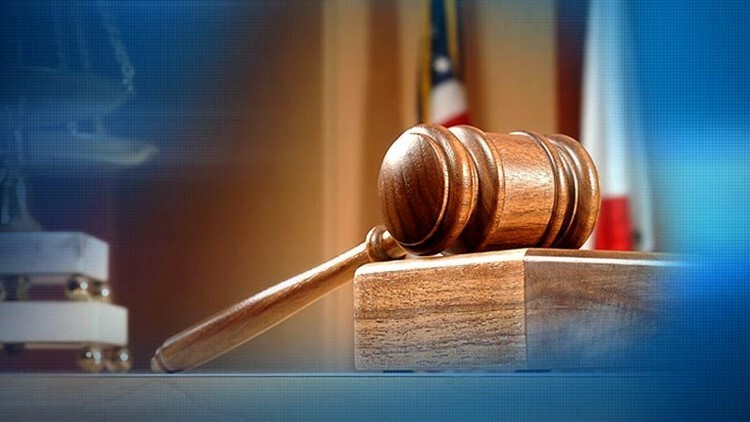 His father, a captain with the Oceanside Police Department, halted the assault by retrieving a pistol and shooting his then-25-year-old son, according to prosecutors.